Coronation Street producer Stuart Blackburn talking today (Friday) about five nights of explosive drama next week. We saw that unfold at a London preview screening this afternoon followed by a Q&A with Stuart, director David Kester and members of the cast. Some of what we saw and heard is embargoed, so as not to spoil the enjoyment of viewers. 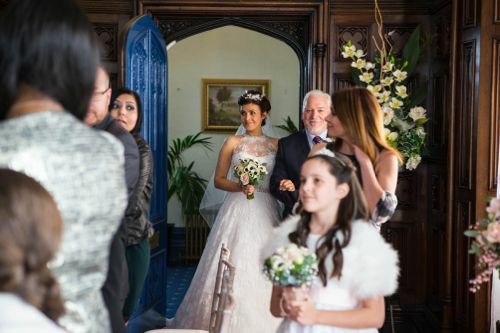 It begins with Steve (Simon Gregson) and Michelle’s (Kym Marsh) wedding. As Tracy (Kate Ford) begins to wreak her revenge after her ambition to rule the Rovers Return was thwarted by Carla (Alison King). 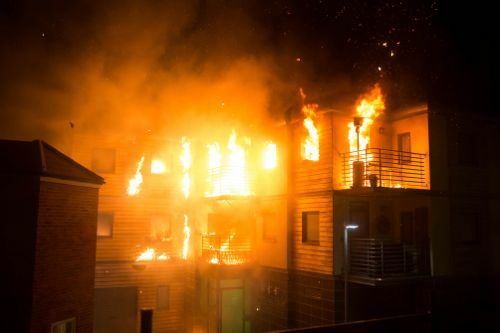 A fire breaks out at Victoria Court, leading to a chain of dramatic events. Here’s a flavour of what Stuart and David had to say today. Edited to remove any major spoilers about events next week. “The ability of a show like Corrie to still shock and surprise the audience is really precious. “These episodes are about as spectacular as they come. They really, really are. I don’t think I even realised how big. And it was a massive, massive ask. Instead of 13 days, I think the shoot took five weeks. We had seven nights of night shoots where all the crew and cast were out until six in the morning. And if any of you have been on the Street you’ll know how cold it is. 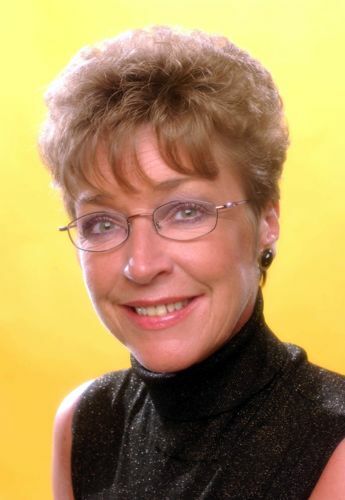 It was Corrie at its best. Everyone working as a team, seeking perfection in every syllable, in every second on screen. And I’d never claim that it was perfect but we did a damn good job. Mostly thanks to David Kester, our director. “What was really important for me – stunts are great, we absolutely love them, but it couldn’t be a stunt for stunt’s sake. It had to be a series of episodes that came from real truth, character and story. And I think we achieved that. The wedding is part of it. That’s the culmination of what’s been a really horrible year for Steve and Michelle. And it’s a marker of how far Steve’s come. Michelle looks stunning at the wedding. And going forward from this, I think if ever a couple deserved a dog called Rover and happiness it’s those two. Happiness they’ll have. “Also the sense of these episodes, well it’s Tracy’s revenge isn’t it? That hasn’t come from nowhere. Like Mike and Ken before, that’s been brewing up for months and years. What started off when she was with Rob as Tracy’s jealousy has just built and built until utter loathing. And coming out of these episodes those characters are going on very different journeys. “It’s the same for everybody involved…everyone involved is going to head into the summer with stories that could only happen because of this fire. And it is a really spectacular summer we’ve got coming. It’s not all about weddings and fires. We’ve got the reveal that Gavin isn’t Gavin. He’s not even Gandy, he’s Andy. We’ve got the escalation of the war with the Platts and Callum. We’ve got some beautiful stuff with Craig and the Tinkers, possible new love for Roy, some really, really good stuff. The fire in Carla’s flat? Can we expect to see a softer side to Tracy after she has wreaked her revenge next week? Stuart said he would not be splitting up the double act of Tim (Joe Duttine) and Sally (Sally Dynevor). Posted in News and tagged Alison King, Cobbles, Coronation Street, Corrie, David Kester, Fire, ITV, May 2015, Simon Gregson, Stuart Blackburn, Victoria Court, Weatherfield. Bookmark the permalink.